When I ground to a halt writing my fifth novel, Untying the Knot, the second movement of Philip Glass’s first Violin Concerto showed me a way forward. I wanted to tell the story of a man suffering from post-traumatic stress disorder, an ex-soldier, ex-bomb squad, whose career had been ended by an explosion. I wanted to write about his marriage (which had ended in divorce) and about the loyal wife who’d stood by him through many years of active service, then years of rehabilitation and then walked away. I had a story, but I didn’t know how to tell it. I knew the emotional trajectory of my characters, but I hadn’t a clue how to structure my novel. 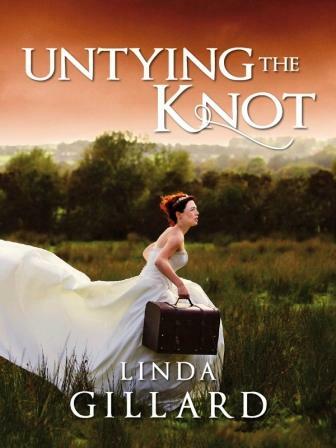 I’d called it Untying the Knot because it was a love story about a divorced couple, but the title was ironical. Divorced, my characters discover they’re bound together indissolubly, not only by continuing love for each other, but by their traumatic history. The book was to be about both of them, not just the attention-grabbing hero, Magnus. I wanted to show his wife, Fay, quietly getting on with her life, quietly cracking up while no one noticed. But Magnus had taken over. My work-in-progress was about a hero, his sacrifice and terrible suffering. I couldn’t see how to bring his wife into the foreground and make her story – and her sacrifice – as poignant and moving as his. I was close to abandoning the novel as unbalanced and too complicated to work. I always use music to support and enrich my writing and I usually have a playlist for each novel. I’d been looking for a piece of music to represent what’s known as ‘the long walk’ – the bomb technician’s lonely approach to an explosive device he’s about to disarm. I remembered the Glass Violin Concerto, with its descending ground bass pattern that repeats for the whole of the second movement. It sounded like someone walking, but it also had an edgy, disturbing quality, created by oscillating broken chords. This wasn’t just a slow walk, this was a walk towards something ominous, even dangerous. As I ‘auditioned’ the Glass, it triggered an almost overwhelming cascade of ideas and I suddenly saw – almost completely – how I could structure my novel by emulating the structure of this eight-minute piece of music. As I listened, I could hear two voices, male and female, engaged in a kind of dialogue. The male voice was the low, see-sawing strings and woodwind that create the walking ground bass. Over the top, I heard a female voice – a solo violin, calm and lyrical at first, a woman pleading with the man to give up his dangerous job, perhaps asking for his help. As the violin solo is repeated again and again against the implacable ground bass, her voice becomes desperate (anguished arpeggiated figures), yet the man never stops walking. It’s as if he can’t hear her and is walking away. Towards the end of the movement, the violin produces high, sustained notes. I found them heart-rending. The woman has finally lost it, given up and gone under. The music showed me how I could weave my two narrative threads together. The long-suffering wife could move into the spotlight for a while, then retreat while her husband’s horrific back story took over. The couple could keep changing places until, at the dramatic climax of the novel, their two stories would collide and combine, allowing the reader to discover exactly why the marriage had foundered, why the wife had walked away. What had appeared to be his story would be revealed as her story. As I listened, I felt Glass had written my novel for me, in miniature. I just needed to expand what he’d done, then translate it into a fictional form. There was an added musical bonus. The movement ends abruptly and is quite unresolved. I believe that unsettled feeling gave me the impetus and energy to get on with writing the book. Much as I admired the music that had inspired me, I thought, ‘In Untying The Knot, all this is going to be resolved.’ And it was. 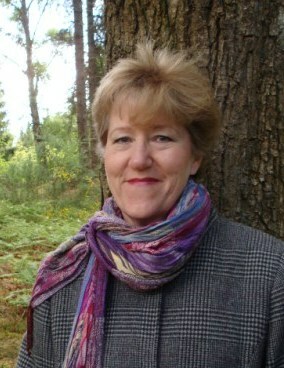 Linda Gillard lives in the Scottish Highlands and has been an actress, journalist and teacher. 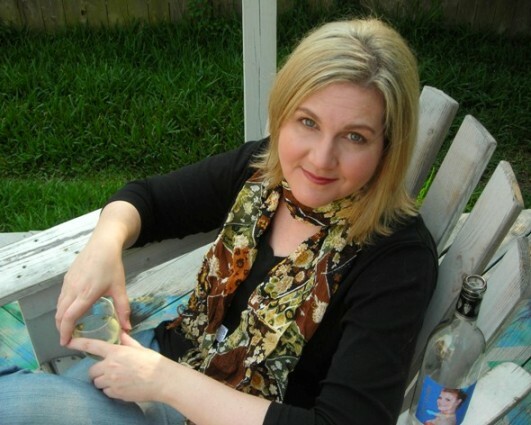 She’s the author of six novels, including Star Gazing, shortlisted in 2009 for Romantic Novel of the Year and House of Silence, which became a Kindle bestseller, selected by Amazon as one of their Top 10 ‘Best of 2011’ in the indie author category. Her website is here and you can find her on Facebook. GIVEAWAY Linda is excited to give away one copy of the ebook to a commenter here – so if you drop by, be sure to say hello! Volunteering with relief efforts after Hurricane Katrina, I heard a New Orleans police officer comment that this was perfect weather for con artists and media people. The story hammer hit me. I saw a scientist obsessed with storms, a con artist using chaos as cover for murder and identity theft, a hungry reporter hot on her trail. The bones of a novel always come that quickly for me, but it takes years to lay on muscle. I do a variety of other things between (sometimes during) each draft – researching, editing, ghostwriting, living my life – but the novel is always present in my head, and on a daily basis, something resonates with it, revealing something the story needs. Quite often, that’s a song, which I store in a playlist that instantly returns me to those insights and keeps my original vision for the book intact. The main character in The Hurricane Lover, Dr. Corbin Thibodeaux, is a hard-drinking New Orleans climatologist and hurricane specialist. An old video of Doug Kershaw doing Louisiana Man on the Tonight show gave me Corbin’s nerdy brilliance. He’s awkward and lanky with a large nose, huge passion and bounding, houndish energy. Cajun music like Rockin’ Sidney’s Don’t Mess With My Toot Toot and Hadley Castille and L’Angelus Le Swing Cajun defined Corbin’s raucous family and the raw southern charm of New Orleans. The traditional Cajun lullaby La Petite Poule Blanche brought tears to my eyes, because I realized that for Corbin, the destruction of New Orleans was no less than the death of his mother. Climatologists and engineers had been saying for decades that a hurricane would eventually wipe out New Orleans. No one would listen. One of These Mornings by Patti LaBelle and Moby told me I had to build in the emotional component of that. Beyond the science was the sorrow Corbin felt as he tried (and failed) for years to make people understand what was at stake. Corbin’s longtime on-off lover, Shay Hoovestahl, is an ambitious journalist, struggling to overcome her beauty pageant past. Stevie Ray Vaughan’s Pride and Joy clarified her classy bad-girl vibe. She’s a Texas rich girl who knows how to use her assets, a character who’d be easy to hate. ZZ Top’s Legs told me how to give her the likeable feistiness and joie de vivre Corbin finds irresistible. The recitation of small casualties in Bob Dylan’s Everything is Broken (I like the Frenchy Burrito cover version) made me rewrite everything about the flood. Instead of the typical big drama, I wrote about the seemingly insignificant chairs, dishes, baby shoes and water bottles that add up to a lost civilisation and good intentions that crumble into broken hearts. Through many revisions, Seal’s Love’s Divine provided a solid conceptual anchor for this novel. When the plot was a tangle, subplots in shreds, I listened, eyes closed, hands on the keyboard, remembering the *why* of this book, mindful that the goal was a place of redemption, a moment when these characters could move beyond how deeply they’d screwed up and disappointed each other. Shay and Corbin’s relationship is a microcosm of what happened that summer in New Orleans and Houston. 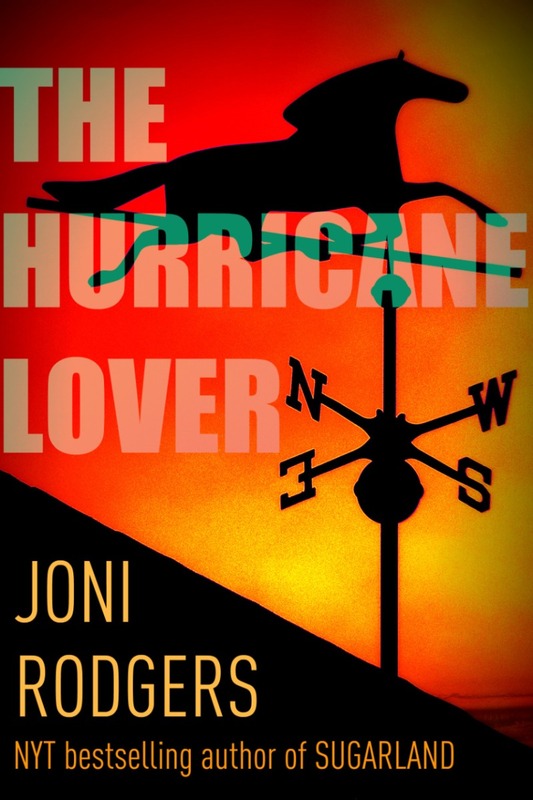 The Hurricane Lover is a tale of two cities, one ruled by denial, the other by fear. The rolling thunder at the beginning and the end of Love’s Divine brought the story home and reminded me to invest it with a sense of future.